The biggest change Android P will bring is new gesture controls – basically the way you move around your phone. It’s the biggest change to Android’s interface in years. The new controls are similar to the iPhone X, but with an Android-flavoured twist. Up to now, Android has been all about those three buttons: back, home, and multitask. Now you’ll be able to swipe up on the screen to juggle between apps. Swiping up will show you every app you have open. From here you can swipe right to scroll through any apps you have open. Currently you scroll up and down to look through your apps. With Android P you’ll be scrolling right to left. While it may complicate things at first, the idea is that you won’t need to use on-screen buttons to navigate, and using your phone will feel more natural. Pop-up notifications are great. They alert you to the stuff you want to know about, such as news alerts, or when someone likes your latest Instagram post. They can also be annoying when you receive too many of them, or if you’re just too darn popular. Android P will make notifications more tolerable. For example, it’ll suggest you mute an app’s notifications if you regularly swipe them away. Now you’ll only see what you want to see. You can also set the Do Not Disturb feature to completely block all notifications, and switch this feature on by putting your phone face down on a table. Peace at last. The most curious feature of Android P is one that encourages you to use your phone less. Yep, you heard right. 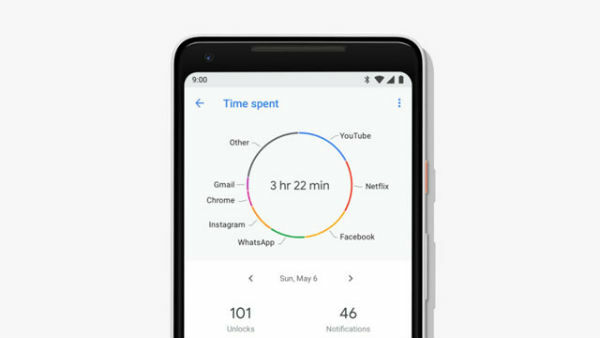 Android P will tell you how much time you spend on certain apps, and will let you set time limits on long you use them. Think of it as self-imposed parental controls for adults. For example, you could set yourself a maximum time limit of 30 minutes per day for your Facebook browsing. Once you’ve hit that limit, the app icon will go grey, and you won’t be able to open the app. Of course, you could still use the app if you really want to, by diving into the settings to remove your limit, but that would defeat its purpose. Android P has got the nail file out, ready to sand down those rough edges - Android’s icons are getting a more rounded look. The settings menu will also get an injection of colour to make your menus look more pleasant, so your Android experience will now look beautiful on the inside and the outside. The search function has also been improved. Search results won’t just show you your apps, but will also suggest things you can do with those apps. So, searching for Twitter could provide a shortcut to the ‘Compose Tweet’ function, and so forth. Taking screenshots on Android is simple, yet fiddly. Well the good news is, it’s getting better. With Android P you can now hold down the power button and then tap ‘Screenshot’. Don’t worry, you’ll still be able to take screenshots the old way. Editing screenshots will also be made easier. As soon as your screenshot is saved, you can draw, crop, and highlight screenshots before sharing them more easily than before. I like the sound of this Android P. When can I try it? 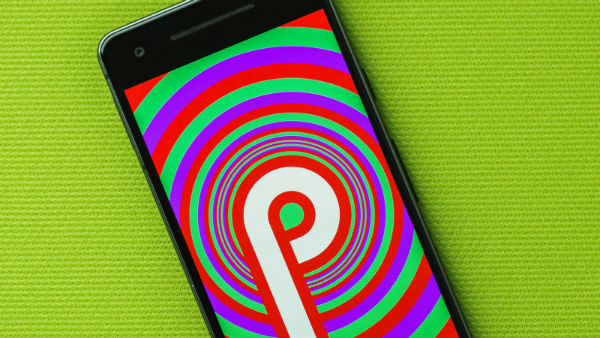 The final version of Android P won’t be available until this Autumn. A beta version is currently available from the Android beta website, however this is a test version of the update, and may contain bugs and stability issues. You have been warned. If you’re still eager to give Android P a go, you’ll need one of the phones that support it. These include the Google Pixel and Pixel 2, Sony’s Xperia XZ2, and Nokia’s 7 Plus. Good luck. Have you dipped your toes into Android P waters? Then let us know what you think of it in the comments below.